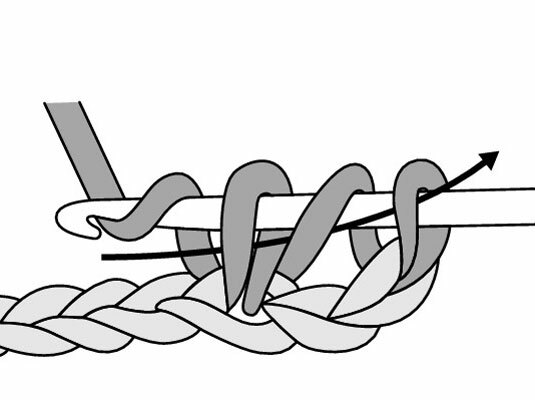 Do 15 chain stitches (ch 15). This step creates the foundation chain. 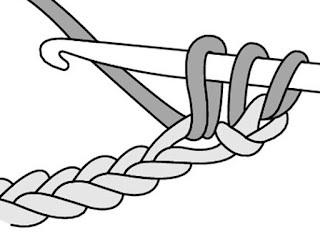 These stitches create the turning chain. Yarn over the hook (yo) and insert your hook in the third chain from the hook. 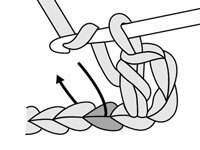 Yarn over the hook and gently pull the wrapped hook through the center of the chain stitch, carrying the wrapped yarn through the stitch. 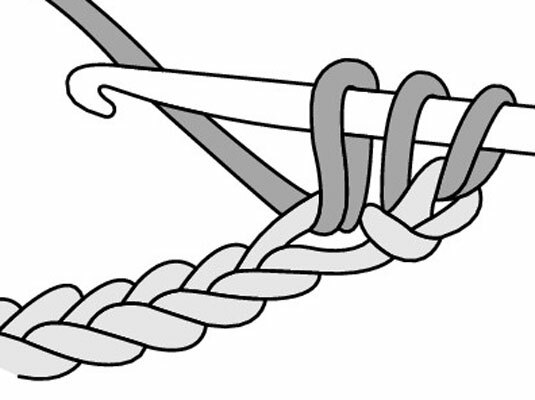 Insert hook into the second stitch from hook, making sure to insert it into bottom of the stitch not top of the stitch. 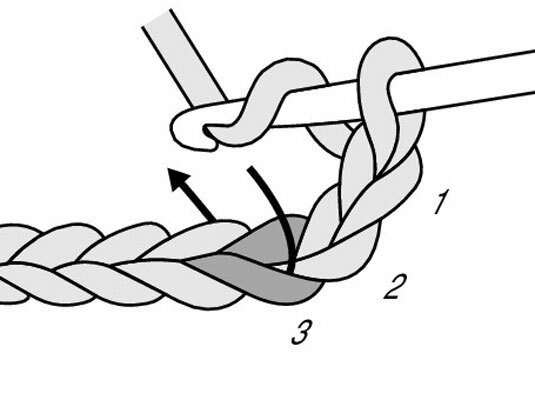 Draw yarn through all three loops on hook. 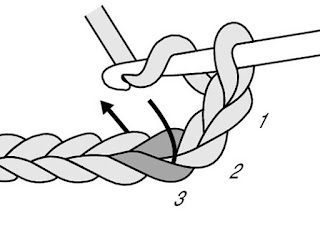 Yarn over the hook and draw your yarn through all 3 loops on your hook. Begin in the next chain of the foundation chain.